Well, my dear friends, we are in the midst of the cold time of winter! I have had to diligently work to keep firewood cut in order to feed the wood stove in our dining hall. That really helps us to save money as far as our propane gas bill is concerned. It also helps in warming up the building where much renovating work in our kitchen is being done. Please remember to pray for the crew of God-sent men who are doing such a wonderful job in our kitchen and shower house. They truly are a blessing! We praise our Lord and Savior for each one of them. As always, dear ones, please remember to pray for the Lord’s provision of staff members. 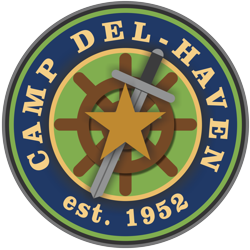 We relish the return each year of the young men and women that have already been a part of the camp Del-Haven staff experience. Nevertheless – circumstances always bring about change, and “necessity requirements “force many of our wonderful workers to have to forego being available to help us during the summer. This is all a part of having to deal with this passing-away-world. We need to always be praying for the Lord to lead to us good quality staff that can effectually be used in ministering to the campers. Our God is, indeed, a prayer answering God! Please pray with us for our staff. Of course, the whole ministry centers around the children. Satan has always targeted the most vulnerable among us! He has always been after our children. Jesus loves the little children. He even taught the disciples that except they be converted and become like a little child – they would in no wise enter into the Kingdom of heaven [Mt.18:3]! Let us continue to be persistent to pray for the boys and girls that our Lord chooses to send through our camp program. Satan is, indeed, relentless in threatening and battling against Del-Haven’s very existence. However, we praise our Lord God and His grace because He is ever faithful to sustain us so we can carry on! You all are a large part of the reality of that divine sustenance. We thank and praise God for all of you. We love and pray for you, too.